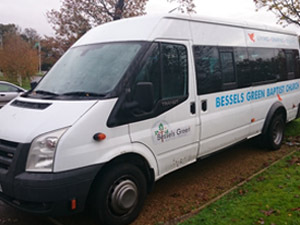 We are pleased to announce that we now have our very own minibus (complete with logo!). The young people and our senior citizens are already making good use of this resource, but it is available for use by any group within the church. Should you wish to make use of this wonderful gift, please contact Nick Hillman using the button below, giving as much notice as you can.